A tort is defined as an act committed by one party that causes harm to another, including physical injury, property damage, or even damage to one’s reputation. Torts typically stem from negligence, i.e. the careless disregard for someone else’s well-being. Most torts do not deal with intent whatsoever—rather, they focus on the harm caused and who was at fault in the incident. However, some torts go beyond simple negligence. An intentional tort is an act committed with the intention of causing harm. What separates an intentional tort from any other tort is the mindset of the party at fault. For example, say someone rear-ends you at a stop light because he was distracted by a phone call; this would constitute a regular tort. But instead, say the driver was upset because you accidentally cut him off in traffic. To retaliate, he sped to catch up with you and sideswiped your car on purpose; this would constitute an intentional tort because the other driver clearly meant to cause harm. Certain intentional torts also qualify as crimes, such as assault, battery, and fraud. In these cases, the guilty party could face criminal proceedings brought by the state as well as a civil lawsuit brought by the injured party. It is entirely possible that the party at fault could be cleared of criminal charges but still be found liable in civil court; the burden of proof is lower in civil trials, so the negligent person(s) could be required to pay damages, regardless of guilt in criminal court. Proving intent is perhaps the most difficult aspect of an intentional tort. Because the at-fault party rarely expresses harmful intent in writing or out loud, you are left trying to prove what the other party was thinking or feeling. However, if you can prove intent, you could be eligible to win punitive damages as well as normal compensatory damages. 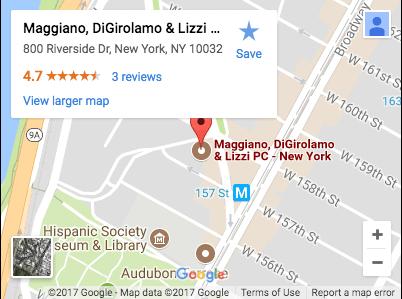 If you believe you have grounds for an intentional tort (or simply want to learn more about the process), call Maggiano, DiGirolamo & Lizzi at (201) 585-9111 or contact us online.